How and to whom do I donate to fight climate change? This is a complex question because where you decide to give is unique to your understanding of why problems exist and your vision for the future. Below is mine. We are locked into enormous environmental changes — storms, wildfires, drought, sea level rise, heat waves — that will require diversified and creative adaptation. The reality is that climate change is global in scope, but unequal in impact. 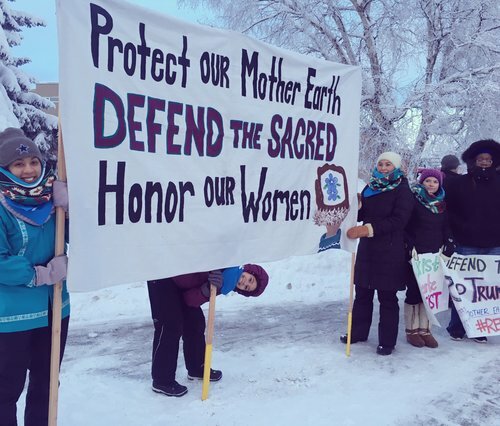 The communities who are and will be disproportionately impacted by climate change are those who don’t have the resources to easily adapt: indigenous, low-income black and brown, women, and people whose incomes are directly dependent on the land and sea, like small-scale farmers. Climate change amplifies all of our existing social ills, such as poverty, homelessness, and health disparities, and strains already-stretched government resources, particularly in rural areas. If you are interested in using your resources to tackle climate change, the most powerful approach is to support the organizations that are building the cultural and political power of the communities who are and will be most impacted by climate change. Investing resources in the communities most impacted is not just about mitigating damages — it is also a vital way to create climate solutions that work. In countless cases, the people most affected by a problem are also those most able to solve them. Conversely, top-down policy to reduce emissions often exacerbates local problems. For example, solar rebates can increase property values, pricing out long-term residents. However, if implemented in tandem with rent protections, renewable energy projects and neighborhood ‘beautification’ can be a source of community health and cohesion, rather than amplifying gentrification and displacement. Organizations that restore decision-making power to the most climate-affected communities already exist and need bold investments. They build their own alternatives to our extractive economy and help protect communities from further harm. 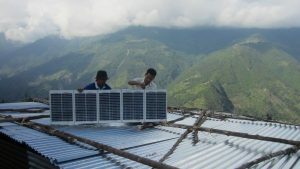 Organizations like the Digo Bikas Institute, which seeks to eradicate fossil fuels from rural Nepal and promote youth leadership around energy access and sustainability. The Civic Council of Popular and Indigenous Organizations of Honduras is fighting industrial mega-projects and protecting indigenous territorial rights to their land and water. And Native Movement using creative media and storytelling to build a stronger youth climate movement across North America. How communities respond to climate change threats can and must range broadly. Coastal areas from Florida to Fiji need to address sea level rise, but are worlds away from each other regarding financial resources, political organization and will, and citizen education. Communities must have the resources they need to respond locally — not just to drought and sea level rise, but also to the complicated economic and social injustices that exacerbate those threats. Local innovation to address climate change in concert with other local stressors is critical. In Oakland, where I live, example solutions might include Climate Workers, a grassroots labor movement for climate justice that mobilizes union members against dirty energy while also engaging workers in projects to foster climate resilience. Not coincidentally, most of the solutions to climate change on the local scale are also building stronger systems of democratic, decentralized governance that hold decision-makers accountable to the needs of the people most impacted by their policy choices. Climate change is about opposition. Our fossil fuel-based economy must go. Yet, it’s also about creative agency coming from effective control over resources and choosing how to live with dignity. For example, indigenous women in Guatemala promoting food sovereignty and safeguarding cultural knowledge of indigenous weaving by protecting their intellectual property rights. Grassroots organizations – both local and global – will be more important than ever as governments become even more aligned with fossil fuel interests. We may feel overwhelmed about global climatic chaos, but we are not powerless. Getting resources to organizations that are explicitly building the self-determination of marginalized groups who will be invariably bearing the direct and indirect impacts of climate change, and who are very often on the leading-edge of developing and implementing on-the-ground solutions for a climatically stable and socially just future is how we respond. I believe that in making choices about how to respond to climate change, we are making choices related to who we are. What are the power-building organizations that are already creating the local-scale solutions near you and around the world? How can you fund and amplify their work? 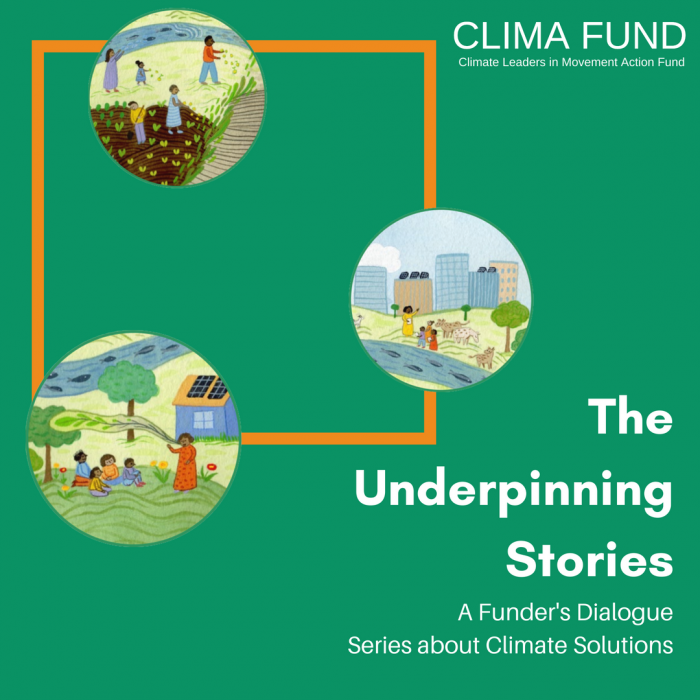 For more opportunities to dig deep on funding climate action, check out our 5-part online dialogue series entitled, “The Underpinning Stories”. On October 24th from 12:00-1:30pm PST, our first dialogue will unpack how funders understand innovation, what constitutes a ‘climate solution,’ and what that means for those who receive funding.